8 Things You Should Know About Weighted Blankets. Home » Disability Resources for Families » 8 Things You Should Know About Weighted Blankets. A weighted blanket is going to be the must-have gift this holiday season. Because now everyone is realizing what autistic kids have known for years–these things are awesome! There’s a reason we swaddle babies. So why do we stop doing it once they are no longer infants? Now, you don’t have to. Who can benefit from a weighted blanket? 1. How does a weighted blanket work? From Mosaic: When you need to feel secure and at peace, a weighted blanket can help create that feeling of safety. Some people say that the experience is similar to being embraced in a hug, but there’s a little more to it than that. DPTS (deep pressure touch stimulation) is also like a massage; it helps reduce stiffness in muscles and joints and it can soothe pain in the body. Both adults and children can benefit from the DPTS that a weighted blanket creates. Weighted blankets help improve melatonin because they help produce serotonin. A Study from Journal of Sleep Medicine & Disorders (2015) found that a weighted blanket helped those with insomnia sleep better, simply because it helped them feel more settled before bed. 2. Yes, you can find weighted blankets that aren’t warm. If you need to use a weighted blanket for any of the reasons outlined above, then chances are you have that condition all the year long. Right? So if you experience the benefits of a weighted blanket, how disappointing would it be if you couldn’t use it for several months out of the year? Luckily, they do make “cool” ones too. So check any of retailers below, particularly Amazon for weighted blankets. You can find them with the weight but without warmth. 3. It doesn’t always have to be a blanket. You can find weighted blankets in almost any size. But even a twin sized blanket isn’t something you can take just anywhere. Consider these other options. But if restful sleep is what you’re after, then definitely consider a weighted blanket. 4. Can I add a weighted blanket to my IEP? I wouldn’t necessarily ask for a blanket. 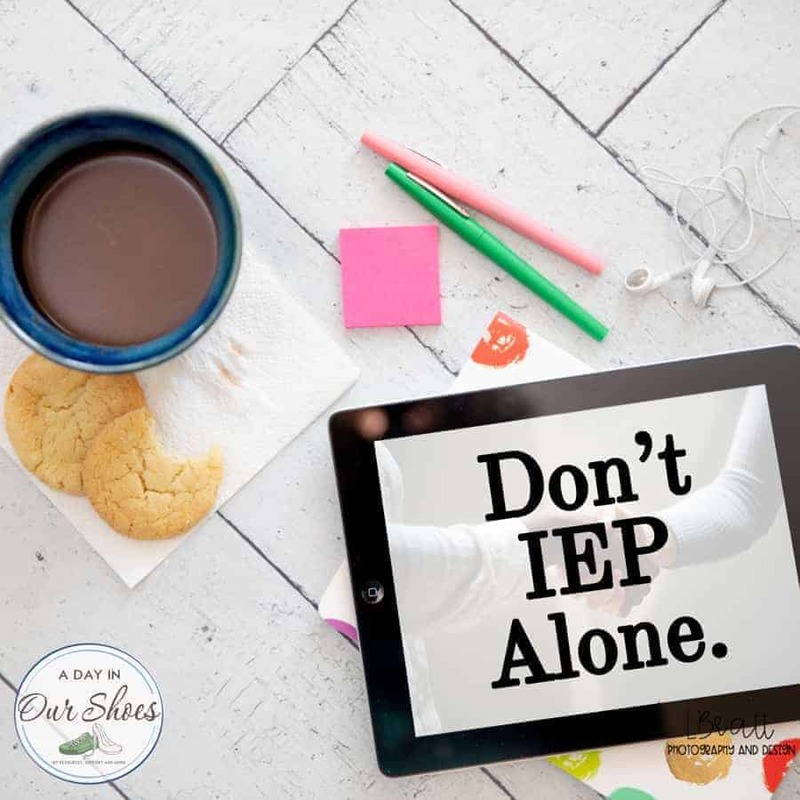 But I have had several clients use the weighted lap pads and weighted toys as an accommodation on their IEP. 5. How much should a weighted blanket weigh? This will largely be based on personal preference. But most websites tell you that 5-10% of a person’s body weight is a good starting point. Usually, the weight is a machine-washable type of plastic bead. If you have any allergies, I would contact the manufacturer first and ask. The beads can also be a choking risk, so check yours often at the seams. Think about Temple Grandin in her squeeze machine. This is just a different version of the same kind of input, at a much lower rate. 6. Where can I try a weighted blanket? Since weighted blankets are exactly mainstream yet, most retailers that sell them are online. There are a few brick and mortar retailers who sell them, such as Kohl’s, Amazon, and Bed Bath & Beyond. Otherwise, you’re going to have to find something around your home that weighs the same amount and estimate. Make sure you explore return policies! Brookstone sells them too, but that company is going out of business. You might want to see if your local store is still open. Maybe you can snag a deal! 7. Can I make a weighted blanket? Of course! But, based on my research, you may pay the same amount for materials as you would buying one already made. Unless you have a discount supplier and are really good at sewing, I recommend just buying one. I have made No-Sew Fleece Blankets, and they weigh 4-5 lbs. each. That might be a viable solution for you. I have also made a weighted doll. 8. Where do I buy weighted blankets? Lots of places sell them. The links below should take you to their assortment. You can also try Etsy if you prefer handmade.